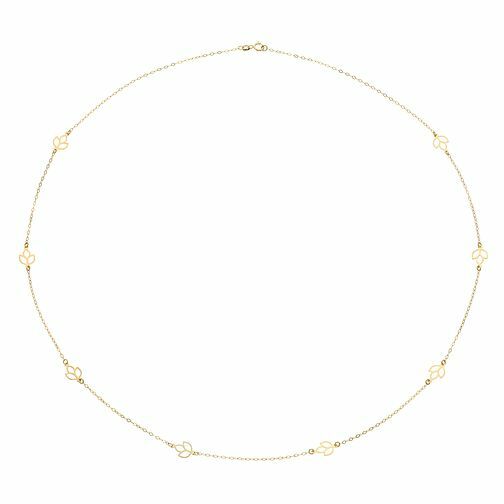 With a movement towards representing nature in jewellery, this 24" chain has been crafted in 9ct Yellow Gold and features delicate eight delicate leaf stationed outlines for a delicate and subtle style statement. 9ct Yellow Gold 24" Leaf Stationed Chain is rated 5.0 out of 5 by 1. Rated 5 out of 5 by Anonymous from Very pretty necklace! Bought this as a present for a friend and she absolutely loved it. It looks delicate and elegant. Would recommend.